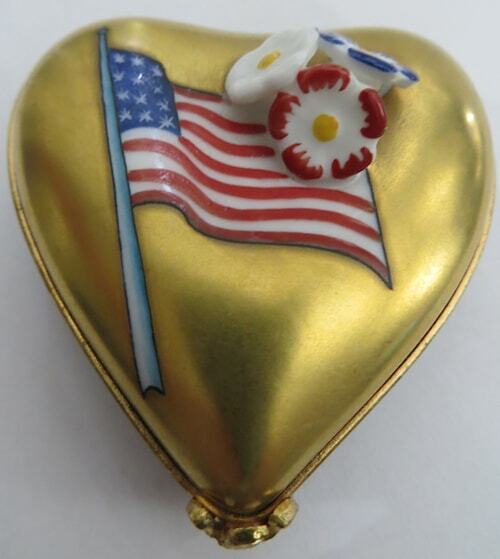 Heart Limoges Box with Flag and Flowers. Peint Main. Limoges, France Marque Deposee. Gold heart box with painted flag and red, white and blue flowers. 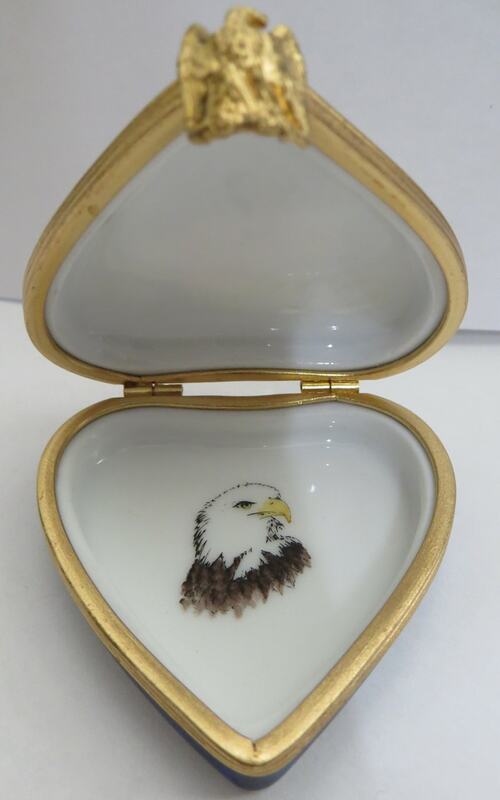 American Eagle painted on the inside of box. 2"x 2"